For years, companies held seminars and conferences to train staff and customers on their products. These learning sessions were popular and effective. However, with the advent of the digital age, many organizations have begun using webinars to deliver their learning content. According to a study by the Content Marketing Institute, more than 60% of companies use webinars for marketing purposes. One of the biggest advantages of using webinars is that their content can be delivered on demand. 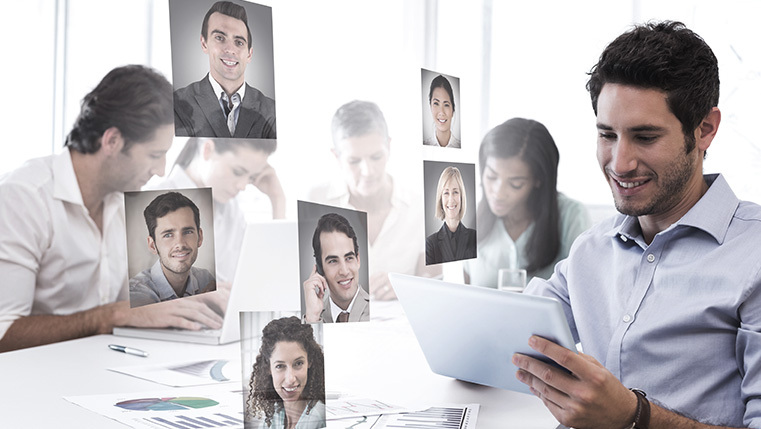 You can record a live webinar, and then, convert the recording into an online learning resource. This feature allows learners to access the content of the webinar seamlessly anytime, anywhere, on any device. Choosing the right tool is the first step. 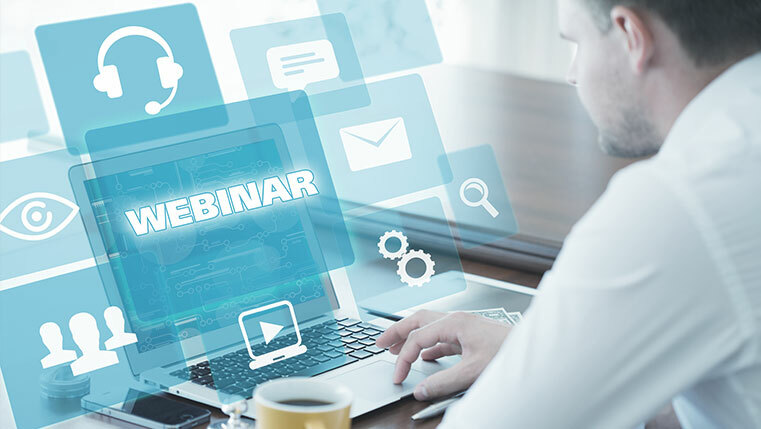 There are dozens of tools in the market that can be used to transform content of a live webinar into an on-demand online learning material, out of which Adobe Presenter is inarguably the best because of the following reasons. Easy to Use: Adobe Presenter is a power-packed PowerPoint add-in. 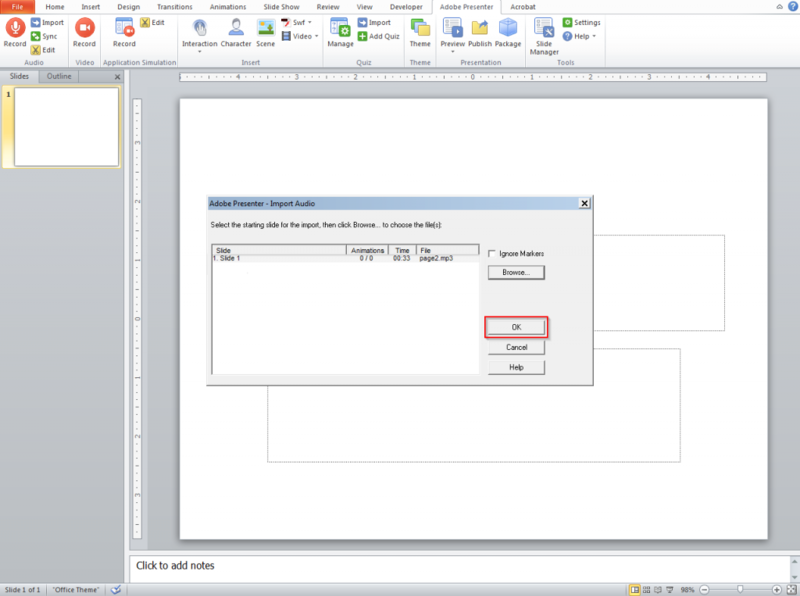 A person who is familiar with PowerPoint can use this tool easily. 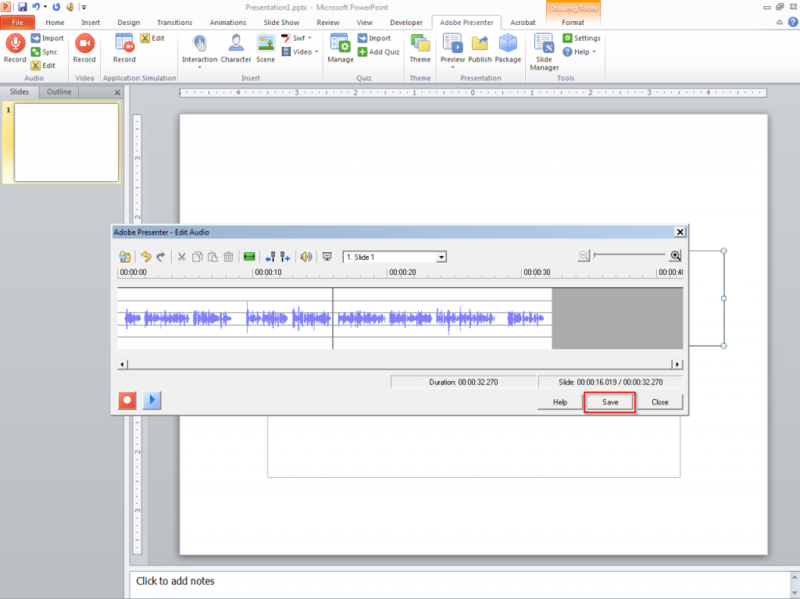 Editable Audio: It is possible to import audio files of the recorded webinar into Adobe Presenter, edit them to remove disturbances or errors and synchronize them with the content on the slides. Facility to Publish to HTML5: You can publish the output to HTML5, making the webinar accessible on any device. Let us see how a recording of a live webinar can be converted into a self-paced learning material for the web. 1. Install Adobe Presenter. 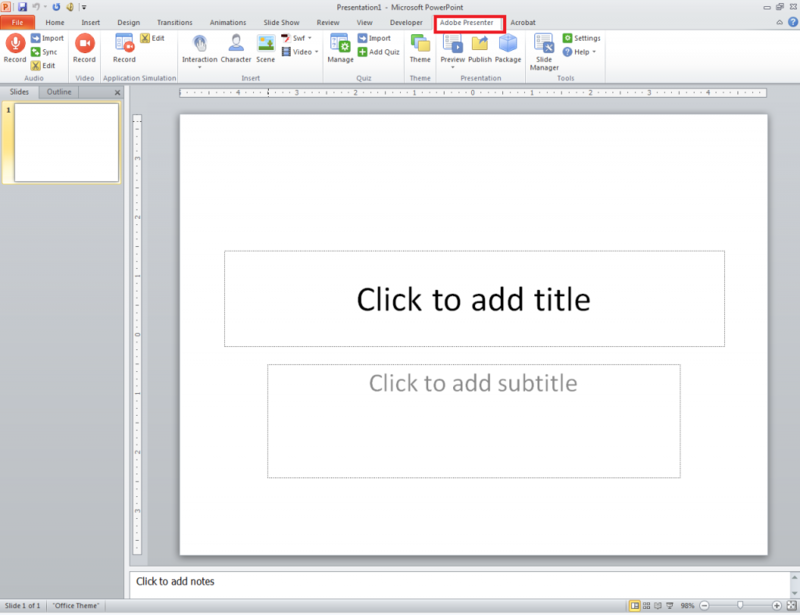 Open the contents of the webinar in MS-PowerPoint. You can see the Adobe Presenter tab in the ribbon of the software application. 2. You now need to import the audio. For this, click the Import icon. 3. A window pops up. You can import the audio of each slide, one after the other, by clicking the Browse button. 4. After importing the audio, click OK.
5. If the presentation contains animations, click the Sync button to synchronize animations with audio narration. 6. 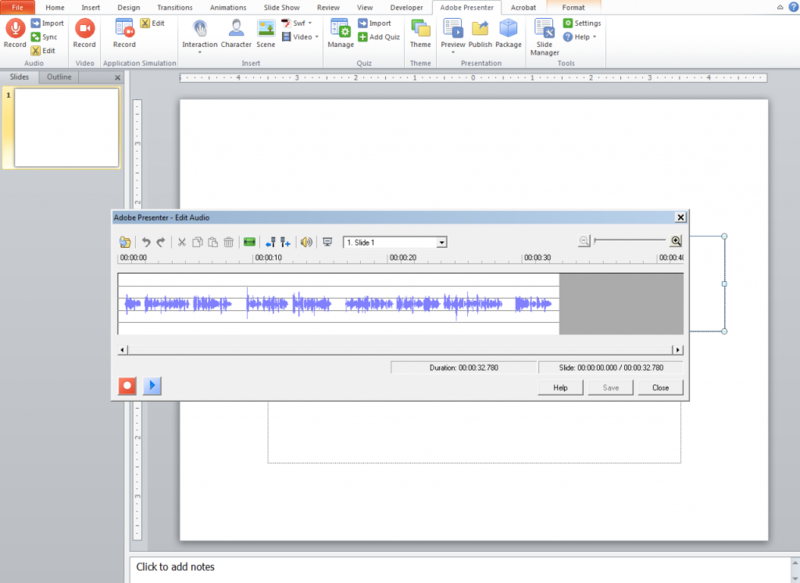 Adobe Presenter allows you to edit audio and remove unwanted noises. For this click the Edit button. A window pops up, enabling you to edit the audio. 7. It’s time to publish the presentation. For this, click the Publish button. You can thus make the digital learning content, presented in a live webinar, available on demand. Hope you found this post useful. Do share your views.